David Riley of Mississippi is one of the finalists at the 2013 U.S. Junior Amateur Championship. USGA Photo. July 26, 2013, Truckee, CA: Near the end of a long week of golf in the High Sierra, 16-year old Davis Riley and 17-year-old Scottie Scheffler will face off over 36 holes of match play in the 66th U.S. Junior Amateur. Held at the Tom Fazio-designed Martis Camp course, at 7,740 yards the longest ever in Junior Amateur history, the match will start at 7:00 a.m., Pacific Daylight Time. The Golf Channel will provide television coverage. Riley, from Hattiesburg, Miss, defeated Kentucky’s John Augustine 4 & 3 in this afternoon’s match, after beating Zecheng Dou of China in the morning quarterfinal, 4 & 2. Scheffler, from Dallas, prevailed over Doug Ghim, of Arlington Heights, IL, in the semifinal, 6 & 4, after taking out P.J. Samiere of Kailua, Hawaii, 3 & 2 in the quarterfinal. Both players were among the early tournament favorites. 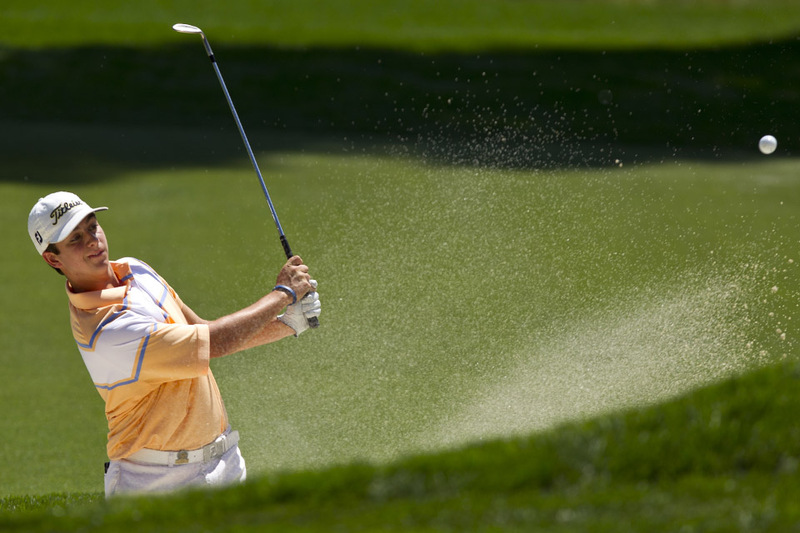 Riley will contend with the veteran amateur contender Scottie Scheffler of Texas. USGA Photo. Scheffler is playing in his fourth consecutive U.S. Junior, has qualified for match play in each of the past three years, and twice advanced to the round of 32. He led the football-crazed Highland Park High School to the Texas 4A state golf team title, while taking the individual 4A title for the second year in a row in 2013. 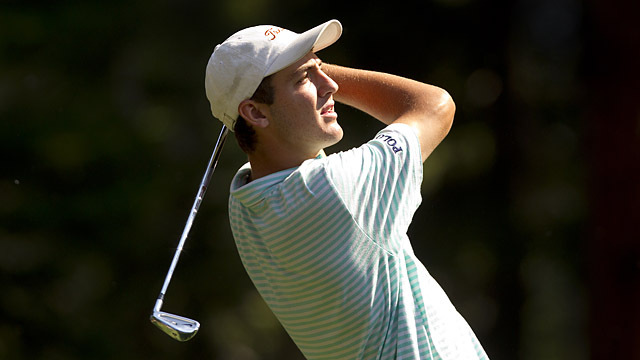 Already committed to attending the University of Texas, he’s ranked 34th in the World Amateur Golf Ranking. After finishing medal play in a tie for fourth, Riley, a junior at Presbyterian Christian High School, handily moved through match play, winning 3 & 1, 5 & 4 and 2 & 1 before his quarter and semifinal rounds. In last year’s event he reached the round of 32, before running into James Liu, the 2010 champion and 2012 runner-up. The Mississippi Class 3A state medalist in three of the past four years, he owns a course-record 61 at Canebrake Country Club.